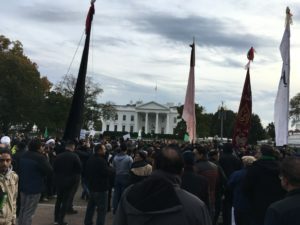 On Sunday the Washington, DC community of Shiite Muslims gathered in front of the White House for a demonstration that commemorated the death of Imam Husain and also served as protest against against ISIS. Those at the protest sang songs, waved large flags, and distributed books and pamphlets on life and death of Imam Hussain. A family event, both the elderly and mothers pushing strollers appeared at protest. 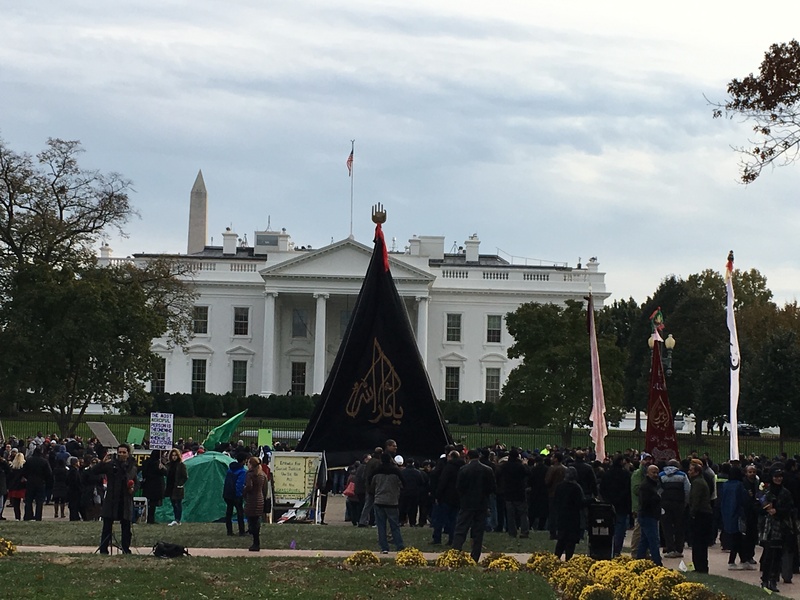 Several hundred from the DC muslim community were in attendance, with many tourists and onlookers passing by on Pennsylvania Avenue. The event concluded without incident.